Use kitchen shears or wire cutters to cut flowers and leaves off stems with wire cutters or kitchen shears. Divide pieces up among your girls. 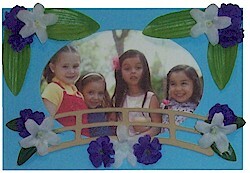 Use glue dots, tacky glue or low temp glue gun to glue foamie bridge to frame. Glue flowers and leaves to frame. Glue photo to back. Glue on backing. Glue on magnet or easel. 3 reviews for "Bridging Frame Kit"
Very cute. True to picture. The flowers were different the the picture but still worked out really nice. I try to encourage the girls to do there own thing anyway instead of copying what they see. 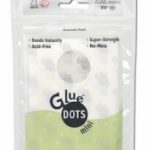 Make sure to glue dots on hand. The other types of glue we tried didn’t work.